I wrote this haiku six years ago. 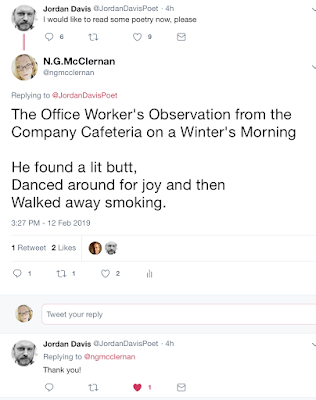 When Jordan Davis, who I follow on Twitter, tweeted this morning "I would like to read some poetry now please" I impulsively tweeted him my haiku. 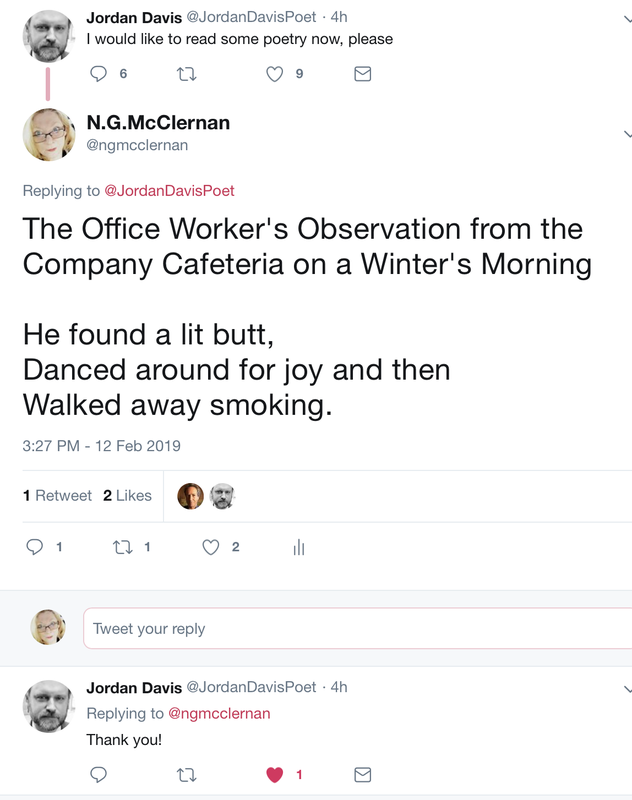 Davis is poetry editor for The Nation so it was especially nice to have him react positively to my work. According to Wikipedia Davis is a "flarf" poet.